The Good Fight will arrive next month, and there is big news about the status of Alicia on the new series. 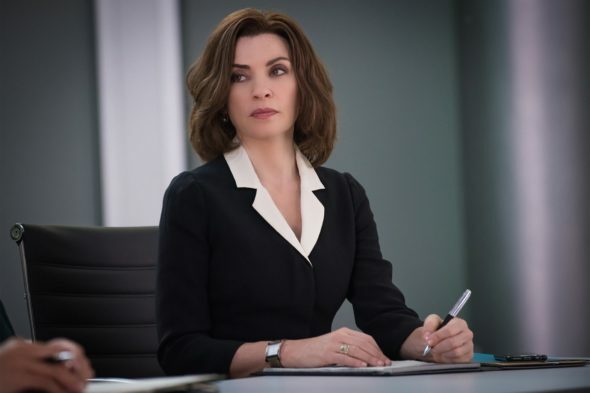 The spin-off of The Good Wife will not forget the existence of Alicia, who was played by Julianna Margulies, during its entire seven season run. Will fans of the The Good Wife see her on the new series? Are you excited to see The Good Fight? Are you sad that Julianna Margulies will not appear on the new series? Tell us what you think. Julianna an excellent performance on #the Goof Wife” . I will miss her lead role on the new series. I am concerned about her absence as the new series without her is just that a “NEW” series not really a spin off as such. I think Alicia should guest star and faceoff against Diane in a epic battle in court…..
Julianna was great. Will look for her in whatever she chooses to do. The Good Fight was good but they missed the boat by not having her involved. Interesting how quickly they forget who got all the nominations. Watching the Good Fight…but not a patch on The Good Wife.I miss all the characters.the spin off seems to lack the rapour of personalities. Love Juliana, so I will miss her! Still, The Good Fight does pique my interest. Only 10 episodes? I’ll be downloading these from a torrent site because CBS is insane if they think I’m paying $5.99 a month to watch one TV show with commercials. CBS All Access is not commercial-free, but they are thinking of providing a more expensive, commercial-free option.